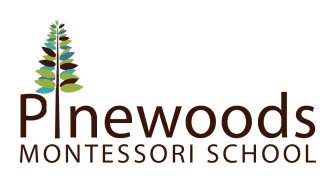 Pinewoods Montessori in Hillsborough, NC provides an authentic Montessori education in which children develop of love of learning within a safe, peaceful setting. We believe in the dignity and ability of children and in their inherent right to our respect, protection, assistance and guidance in fulfilling their potential. We are committed to the Montessori philosophy and follow a traditional Montessori approach to education. We wish to support families’ efforts to raise capable, joyful, confident children without undue stress or financial hardship. We are dedicated to share our lives with children and to grow and learn alongside them. We are dedicated to the well-being, integrity and development of the larger Montessori community and of the Hillsborough community in which we live and work. We desire to help bring about a peaceful world in which every person’s contribution is cherished and in which all barriers to understanding and acceptance have been removed.